When you are away from home you can never be sure that it is secure. Being notified if someone is at your home when you aren’t there helps to ensure your home , family and valuables can be protected from burglars and worse. Being able to see what is happening gives another level of security and added peace of mind that you are doing as much as you can. You can then take action as required if a security event is taking placed.. The Arlo Smart Home Security Camera System is a wireless video monitoring security system that you install yourself with the ability to record what is happening at home and notify you when someone unexpected is at your home. It can contact you anywhere you can get a signal on your smart phone. Being wireless makes it possible to install the cameras in the best possible locations inside and outside your home to detect unauthorized persons. It has a lot of good things going for it. But there are some limitations to this system. I’ve researched the system in depth and checked the video image quality, battery limit, ease of set up , installation, how easy it is to use and more to come up with a full and comprehensive review. The installation and set up of the system is quick with it possible to have it all completed within 30 minutes. To use the system you need an available Ethernet port to plug connect the base unit into your router, internet access with a minimum upload speed of 1 mbps per camera, a computer with a supported browser or iOS device or Android device and the Arlo App. The installation and setup requires you to plug in the base station into your router and power supply, wait for it to update with firmware, download the app, install the batteries in the cameras and then sync the cameras before mounting them. This gives you a basic set up that you can later change by using rules, modes, schedules and add family etc. to your account. Mounting the cameras can be as simple as placing on a shelf or table or as complicated as using the magnetic mount – screwing that to a tree and then attaching the camera to it. You may need some double-sided tape to get the mount to stay in place because of the curve of the tree. The magnetic mount holds the camera securely and should hold the camera in place except for the most extreme weather conditions. However, the magnetic mounting does mean it could be a target for thieves as it is not fixed in place. This is great for changing location of cameras but not when there is a possibility they could be easily stolen when put outside. The company is going to be releasing a more secure mounting solution for outdoors in April but in the meantime you can use a third party standard camera mount as the cameras have a standard screw-in connector underneath. Some care does need to be taken in placing your cameras in the right locations to get it to give the best view of the area you want to watch and for it to pick up movement as early as possible. It works best with a sideways view of expected movement through its field of vision. You can set the system to test the motion detection while setting up to get the best positioning of the cameras. Changing location of the cameras does not involve any more set up you simply move it to where you want it to monitor. There is no contract to be signed to use the product on an ongoing basis. You are required to use their servers to get notifications and to store and to access videos. The free to use or basic service includes a maximum of 1 GB or 7 days storage of video recordings, 5 cameras and one base station. If you reach the capacity limit within 7 days then the system will stop recording video or overwrite the oldest video depending on how you set it up using the App. The final tier is the Elite Service. It costs $14.99 per month or $149 per year with a maximum of 100 GB or 60 days of video stored online, and can have up to 15 cameras and 3 base stations. When first released some services were only accessible to those people on the paid plans. However, in January the company made those available to all the plans – they are – you can be notified by email and push for motion detected events, friends and family can be added to the account, you can schedule when cameras are active, there is free iOS or Android App and you can share video clips. The paid plans can be cancelled at any time without penalty. The company gives you 90 days of free technical support via the phone after that you are expected to use email or web chat or their forum if you have not subscribed to the Elite or Premier plan. This is not great after you’ve spent money with them. The forum and the FAQs do have a lot information in them to help with common problems. The forum does seem active. My experience is that they do respond quickly to emails – I had a response within 4 hours to my questions. The cameras are solidly put together and can be used indoors and outdoors as they are rated as being weatherproofed. The internal workings of the camera are sealed against the rain and elements. The only issue that has been reported is that the rain can sometime pool a little on the lens making it difficult to see out of it until it dries out. They are rated to work between temperatures of 12 degrees Fahrenheit and 122 Degrees Fahrenheit. Over the recent cold winter with temperatures below 12 degrees the cameras have continued to work with the only issue being the falsely reported low battery charge. The camera has a 130 degree view and has a resolution of up to 1280 by 720 HD. The wide angle view you get is a fish eye view which does affect the perception of the quality of image. You can have 3 different settings for video image quality – high quality (best image), optimized (balanced between battery life and image quality) and battery life (uses least battery charge). The images aren’t crystal clear but they are sharp and you can get a good view of what is going on and be able to recognize people in the video when they are 15 -20 feet from the camera. This is the same during the day and night. Day vision is in color and night time is in black and white. It uses IR lights to illuminate the area at night. (You can see the red lights on the camera when it is recording at night. )The switch between night and day vision is fairly seamless . There is none of the blurring you get with some cameras at dusk and dawn when it is not fully dark or light. The wide angle does mean you can see a lot with one camera, however the cameras are best watching a set area rather than wide open space as the wide angle view does make everything seem far away. They’re good for watching a fixed area part of the driveway, backyard or doorways rather than a parking lot when used outside. You can digitally zoom and pan to get a better view of the video. This is not an optical zoom where the lens moves. Annoyingly you can’t pan and zoom while viewing the video you need to go to settings for the camera and change them there and then come back to view the camera. The cameras sleep when they have not been activated by motion or for live streaming to give a longer battery life. This does mean that when they start recording when detecting motion they can miss the first half a second of the event. This can result in missing what caused the recording to start if they are moving fast or you might only capture the back of the person. To minimize this the company does provide good information on positioning of the camera and setting the motion detection sensitivity for the optimal detection and recording. It also suggests you can set the cameras in a relay type arrangement on the path someone needs to travel – where the first camera detects motion so it and the second camera start recording. This will work but could be an expensive way to get the video you want. I’m not sure there is a way round this while the cameras available are battery powered until they bring out separate motion sensors. The motion generated video clips and live recordings are stored on the company’s cloud server. You access them through your account either by computer or via the smart phone App. You can download and store the videos on your computer and other storage devices. The basic no monthly fee version of the storage gives you a maximum of 1 GB storage or 7 days. You can set Arlo to notify when storage capacity has been reached. At the 7 day point the oldest files are written over. 1 GB stores about 2 – 3 hours of video depending on quality recorded. To access the video you go into the library in your account. It is set up on a calendar and stored by day. The days with video are highlighted by a green circle which you tap on and you can see the files store for the day and then play on. When watching using a computer you need flash drive to view them. The files are easy to find and view the files but at present there is no way to fast forward through the recordings. The company uses Encryption Protocols and Ports to protect your data. The files are encrypted and access requires you to input in your secure password which is also encrypted. The company says it takes all steps to ensure your video and data is kept secure. If you are not keen on having your video stored online you will have to look at alternatives such as a DVR system like Zmodo PKD-DK0855-500GB which requires wiring and cameras are weather resistant and need to be powered by your house AC supply. These cameras are more difficult to set up and install. If you are not planning on having your cameras outside and the benefits of battery powered cameras are not something you are looking for you could take a look at the Oplink Tripleshield Security System where video is stored locally but there is no free monthly service as you get Arlo. It is easy to set up and get started with and comes with more security features too. There are no sirens included with the system. Currently it is set up only for camera monitoring and notifications. You could use this with a DIY wireless home security system. Although the systems will not be integrated you can have them work together to notify, see what is happening and sound the alarm when there is a security event. It may not be an all in one solution where you can control everything from a single App but it would be an effective way to use the cameras in a more complete security solution. Many of the systems work in a similar way to Arlo in that you pay an upfront cost and then you self-monitor and get notifications sent to you phone when there is a forced entry or motion detected in the house. When motion is detected by the cameras you can set the system to notify you by way of text message, email or a push notification (straight to the App on your phone). The notification is sent as soon as motion is detected. You may need to wait to be able to see the video as it is not available while it is being recorded (this is different to live stream where you can watch and record at the same time). You can set the length of time the video records from 10 seconds to 120 seconds. The Administrator can add friends and family to the App so that they can receive notifications and view the video clips remotely. This means if you miss a notification or you are in a situation where you can’t read the notification someone else can check it out for you. This is probably what you want to happen with other members of your household whether it is other family members or other people you are sharing an apartment with for example. There can be a delay in receiving the notification as it travels from camera through the internet and then to your phone which means that it won’t probably give you notification that someone is coming to your door before they knock on it. Currently the only camera systems that can do that I’ve reviewed are Lorex but it isn’t as easy to use and the cameras need to be plugged into the power supply. One of the benefits of Arlo Home Security Camera System is that it gives you the ability to monitor your home from afar. Whether you are out of town on business or on vacation or shopping at the mall you can check in on your home at any time to see everything is as it should be. You can check to see the kids have got home safely and are behaving while doing their homework. Or you can check up on your pets to see they are safe and happy. It does not detect sound so it does not make a good option as a baby monitor for letting you know when your baby is crying or getting restless when you are downstairs. The remote monitoring can be done with your smartphone (Android or iOS only) or using a computer from anywhere you can connect to the internet. As with notifications settings the Administrator of the system can add as many people as they like to the system. There is only one Administrator but there can be as many friends and family accounts as you want and they can all access the system and watch video at the same time. Only the Administrator can give them the rights to watch remotely and can restrict access as required. From one account you can watch the live feed from four cameras at the same time on the one screen plus you can monitor 3 base units and up to 15 cameras from one account depending on your subscription plan. These base units can be in different locations – so you could have one in your home, one for your office and one for your vacation home (does need a router) all from the same App without having to log in and out. This makes it all very convenient to manage mutliple properties. The App itself is fairly easy to use but parts of it can seem a bit clunky and it is not always obvious what you need to press to get to certain parts of the App to change settings such as having to come out of the camera view to change the pan and zoom settings. The FAQ and community on Arlo’s website are a big help in understanding how to do things. The cameras each use 4 CR123 batteries which are included in the kit. The company estimates that you should get 4 – 6 months use out of the batteries with average usage at optimum battery setting before they need replacing. There hasn’t been long enough yet to test if they do last this long but the company’s previous product, the wireless camera product Vuezone, users have reported getting this length of time from the batteries. These batteries aren’t as common as AA or AAA batteries but they are readily available. Currently on Amazon they have 8 Duracell batteries for about $17. For 2 cameras it is going to cost $34 a year and with free cloud storage it work out cheaper than using a Dropcam Pro where you pay for storage. You can use rechargeable batteries in the cameras but the life of these tends to be shorter than standard lithium batteries so will need changing more frequently but this may help in keeping the cost down. Changing batteries is straightforward – you just open the door in the back using your thumbnail or small screwdriver to flip it open. Average usage is estimated at about 4 minutes a day recording or live streaming which is normal for monitoring systems rather than surveillance cameras. Of course, using the cameras more than this will result in the batteries being drained quicker. The length of usage will also be determined by connectivity to the base station with poor connectivity resulting in draining of the batteries faster. There has been some issues with the cameras indicating that the batteries need changing with only a few days usage but this was an issue with the very cold weather. The batteries were not drained just reported that way. This indicator has now been fixed by a firmware update in January. So the battery status is now reported correctly. The system uses passive infra red sensors to detect movement – they use changes in body heat to see movement. It is located on the camera just below the camera lens. It’s range of view is 130 degrees with a most effective range of up to 20 feet. As with any of these type of sensors there are limitations with how they work. In particular they don’t work well with someone working directly towards the sensor. They are much better at detecting heat changes when someone is walking parallel to the sensor. Depending on the sensitivity you have the motion detection set at then leaves blowing in the wind or cars passing in the street can set it off. To avoid this happening you can reduce the sensitivity or change the angle of the camera. The sensitivity is changed using the App but it is a matter of trial and error to get the optimal amount of sensitivity so the sensor ignores things you are not interested in and but still picks up activity you want to monitor (intruders) early enough to activate the camera so you can see what is happening. Some people want to set the cameras up inside to look outside through a window. The motion sensor detects changes in heat so won’t work in most homes as windows today are insulated. Also at night there is likely to be reflection off the window distorting the video image. Unlike some camera systems you can’t pick and chose the area it detects movement within its field of view. It doesn’t have the functionality to ignore movement you can only do this by turning down the sensitivity overall. The system does not come with entry sensors at present. It could work well with a DIY home security system such as PiSector PS03-M Alarm Systemthat notifies you of a possible unauthorized entry and you can then do a live stream with cameras to see what is happening in your home. As you can view 4 cameras at once you can get good coverage of your home. If you see an intruder you can contact the police. With the alarm system you can hear what is happening and speak to anyone that is there through its control panel if you want to. If it turns out to be a false alarm you can reset the system ready for the next incident remotely. The system is not a complete home security system and can’t integrate with other security systems so this feature is not available. You turn the camera off and on with your App or you can set a schedule for when they are active – i.e. times they are ready to record when motion is detected. This means you don’t have to remember to turn them on when you leave the house as you can have them set to come on at a set time. You can change the setting from work or wherever you are – having a coffee in Paris. Other than the scheduling there is no other automation. The system does not detect when you are at home and turn them off automatically or turn them on when you leave. The base unit connects to your router via an Ethernet cable. It communicates with the cameras and the servers for recording video and being programmed with rules and modes by the user. It is quite large considering what it has to do. It is 6.5 inches by 8.5 inches by 2.3 inches and sits in a vertical stand, so you need to find a place for it sit. It looks modern and sleek. The back of the unit has a reset button, power jack, Ethernet cable port, power button and USB ports. The USB ports are inactive at this time but are there I believe for when the company rolls out home automation features in the future. At the front it has 5 LED indicator lights that indicate. 2 are inactive at this time – Smart Home and USB (for possible use with ZIgbee amd Z-wave home automation devices?). The 3 active lights are for reporting on the status of power, internet and camera. These let you know if everything is working fine with a steady green light, a blinking green light for updating or syncing, amber indicates that system is booting up or it is not connected to internet or there is a weak signal from the cameras. No light means there is no power, or no signal being received from cameras or it is not connected to the internet. All the changes to the system need to be done using smart phone App or using a computer. From the App you can view your videos, live stream, add or delete friends and family with settings as to what they can see or do, create rules and modes to tell the system how to respond when motion is detected, create schedules and what the system should do when your video storage is full and when there is a low battery in a camera. There are no delays on the switching on and off cameras for motion detected recording. As you can do all this remotely and there is no siren sounded when motion is detected there is little need for this. When there is a power outage or the internet is down the system does not work. There is no back up for this happening at the moment. Also you don’t receive notifications from the system to let you know that there is an issue. This does make the system vulnerable in these circumstances. The maximum cover is 300 ft without any obstructions. The range will be less than that in a house depending on the walls and interference. Experience to date indicates that the coverage is more than adequate for monitoring an average home and property. The App has a signal strength indicator for each camera. The strength is indicated by bars from 0 to 4. With 0 meaning it is disconnected and 4 meaning full connection. The weaker the signal the more battery power is required to transmit the video. The video may need to be transmitted at a slower pace or retransmitted if the signal drops out. Also the base unit camera LED light indicates when the signal it is receiving is too weak to operate properly by flashing amber. Currently there is no way to extend the coverage with a signal repeater. The cameras are wireless. They communicate with the base station using 2.4 GHz frequency. They are battery powered and do not need to be plugged into the power supply. The base station needs to be plugged into AC power socket to work. It also requires an Ethernet cable(supplied) to communicate through the internet to the company’s servers for the system work. You are reliant on the internet and the company’s servers to be up for the system to be able to record video and to live stream video. You can personalize the system to meet your requirements. This is all done through the App or your website account. Each camera is a zone in itself but it can be grouped with other cameras with rules and modes. The cameras names can be changed to something useful so you know which one has notified you rather than having to look at the video -it just helps to make life easier especially if you are monitoring more than one location. To tailor the system to your lifestyle you use the modes and rules. These are accessed from the settings menu. The rules tell the system how to act when motion is detected by a camera – i.e. send out notifications, record videos and which cameras. When you are all away from home you may want all camera notifications and recording on for all cameras. If you are away from home but your children are home you may want to check if they go into a restricted area while you are away or maybe there baby sitter wanders into an area you don’t want to go you could set the camera to record and notify you. The company does list 2 products that are going to be released in April. They are a ceiling/table mount and an adjustable mount that screws into the camera which helps in positioning the camera better and make it more secure when mounted outside. It is reliant on the company servers and internet being available to work . If they are down then the system is not working and you do not have coverage. They are currently working with good uptime after the initial issues. There is no power back up for the base unit. I’ve read through most of the customer reviews available online. Some of them are as a result of receiving the equipment for free. Even allowing for the bias these reviews may have, most paying customers appear to be pleased with the system. The concerns expressed are about the length of battery life, the lack of 24/7 service because of using battery power and the magnetic mounting making the cameras easy targets for thieves when mounted outside. These are things you should know about up front. The battery life is estimated to be 4 – 6 months by the company and there is nothing to suggests yet that it will be less than that. The customers that bought the product are pleased with the video quality, that it is wireless so cameras can be located where they want it most, that the wireless range is sufficient for their homes and you can easily keep a check on your home with your IOS or Android device or computer. The price ranges from $200 for one camera and base station up to $450 for a 3 camera and 1 base station. It is not a cheap solution but it does work out of the box like it should. There have been some problems with the initial launch that now seem to have been worked through. There are not too many problems with the system so they do help to make your life more secure and easier. As a home security system Arlo has some way to go but as part of an overall plan for securing your home it can play a big part. It needs entry sensors, sirens and the ability to integrate with environmental sensors to extend its security capability. All these may come in time as well as the smart home automation that provides lifestyle and other security features such as switching lights on and off. Many home security systems don’t come with cameras and this could be used alongside them for a complete solution. The battery power that is a good feature for placing the cameras does mean you can’t use the cameras 24/7 and they don’t have buffer storage of video so it can’t record the situation before the motion was detected and this results in there is a small delay before it starts recording. It is not a surveillance solution but it is a home monitoring solution with good quality video and the flexibility to place the cameras where you want them inside and out. It does what is does very well. It is well rated by customers. It can work well on its own but would work even better alongside a DIY security system. Thanks. I appreciate it. It’s great to hear you like it. Based on this review and others I did purchase an Arlo this weekend. Setup was simple and I seem to have very little video lag. So far so good. I figure if I get tired of paying for batteries I can always sell the system on eBay and try something else. Next comes a cellular security system. Thanks again Paul for this great resource! That’s great news. Thanks for letting me know. Good luck with the security system – please let me know if there is any information you need to help you in selecting one. Yes you can choose which cameras others can see and also what admin rights they have. I have a few questions i was hoping you could help with. I’m looking into getting a gsm home security system and use it in conjuction with a seperate security camera system like the arlo like you have mentioned in this review. So far I’m impressed with the fortress brand and im looking to build my own gsm package with only a few motion sensors and an outdoor alarm. I figure if my house is broke into whilst my partner and i are at work the gsm text will notify me of alarm activation and i could use something like the arlo to check if it was a false activation and separately disarm with the gsm function. This also will do away with paying a contract with a security company which can be quite expensive and not something i want to be locked into. I am a little hesitant to go with the arlo due to the 6 month battery changes which could be costly compared to using a AA, AAA or 9v system. Also the lack of back up powering for the base station in the event of a blackout is also a worry. Is there any substitute for something like the arlo that would better suit my needs? Back up powering and better battery life? I am willing to spend around $1000 AUD (approx $700 US) and want to know if there is a single package that has everything I’m looking for without any ongoing costs? Also does my thinking of how all this will work sound correct or am i missing things. Apologies for the long winded post but i have been doing a lot of research and seem to be getting more confused with all the Jargon, different products and especially the salesman bias. Sorry I am slow getting back to you. I think the Fortress Security Store GSM is a good choice and using Arlo (or other camera system) in conjunction with it gives you more ability to check on security events remotely. There is a new system Blink HD Monitor where the wireless cameras use 2 AA Lithium battery with an 1 year life (not tested by users yet). 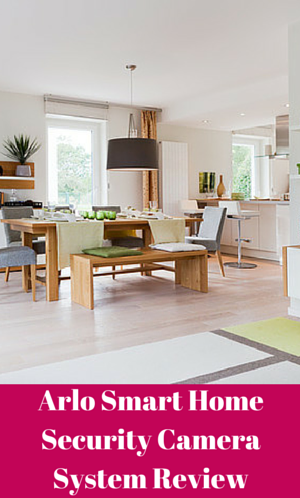 It only has indoor cameras unlike Arlo’s that can be used outdoors. I’ve assumed you want wireless cameras. It is about half the price for 3 cameras. As to the power back up I’ve yet to research and review a home security camera system that has one built in. The ones that I’ve not got to yet that say they have backup or are rechargeable are Homeboy (which doesn’t appear to have livestream capabilities)or Flir FX. Or you could connect an uninterruptible power supply. I wish could help more on this – you’ve given me a number of devices I need to research and check out fully. I also understand that you are only one man and you most likely do this for a hobby so any information is greatly appreciated.